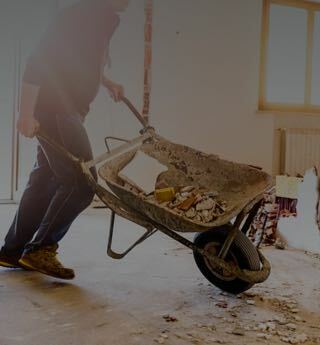 Debris Removal Insurance Coverage Online - Get a Free Quote! Show your next construction site that you carry insurance for professional debris removal by quickly downloading our Certificate of Insurance online. You can quickly and easily add any or all of your customers as an Additional Insured and print as many copies as you need with no fees, ever. Thinking of moving from smaller debris removal projects to larger ones? We've got your debris removal professional insurance covered so you can focus on meeting or exceeding your goals. We hope you'll be satisfied, and you can cancel instantly online anytime. Cash flow trouble? Our payment plans allow you to pay your insurance premium on a monthly basis so you can keep your business running and be insured at the same time. Of course, we don't charge any extra fees if you choose that option. Someone who wandered into your site by accident trips on a piece of drywall you were just about to remove and injures himself. The same person who tripped asks you to pay for their medical expenses, rather than pursue a lawsuit. While hauling a piece of equipment out to your dumpster, you scraped your customer's newly-finished wall. Now, there's a mark, and they're demanding you fix it. A client sues you for using pictures of his newly clean site on your social media pages without prior consent. You make a joke to the waitress about your client while out to lunch. Someone from the client's crew overhears you and tells the foreman. He's offended, and he sues. You miscalculate the size of dumpster needed for a job. As a result, your client loses a day waiting for you to get the right one. If you've purchased a Pro or Pro Plus plan, Professional Liability Insurance is included.